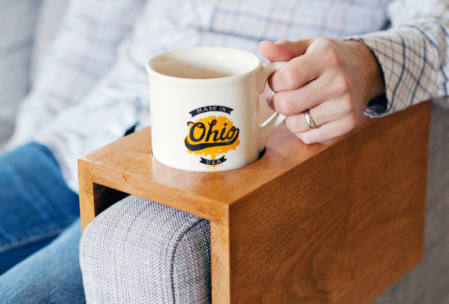 How do you take your woodworking to a new level? 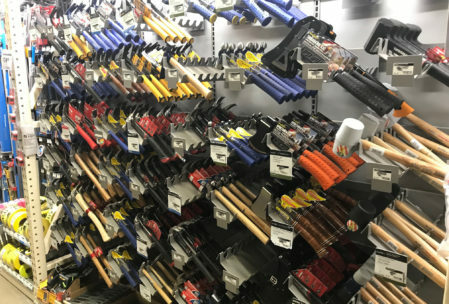 Usually you need more equipment, right? 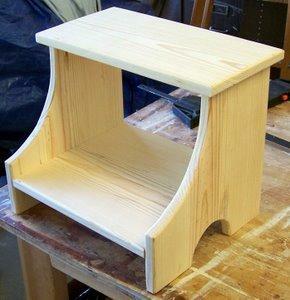 And a router table is coveted by many aspiring woodworkers. But why waste money buying one if you can simply follow the complete guide for building a router table? Even basic woodworking skills are enough to manufacture this quality working area. Then you can save time and improve the quality of your work. Get your tools ready and transform your hobby overnight. If you need more general workspace you should make a large router table. 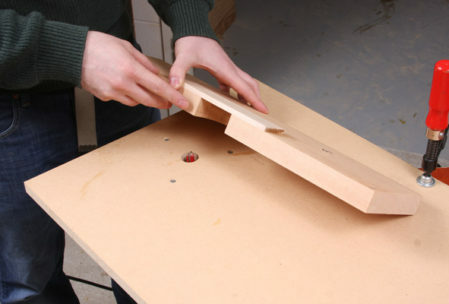 You can simply unscrew your router to have a smooth work surface you can use in future. What you create also determines the router table size. 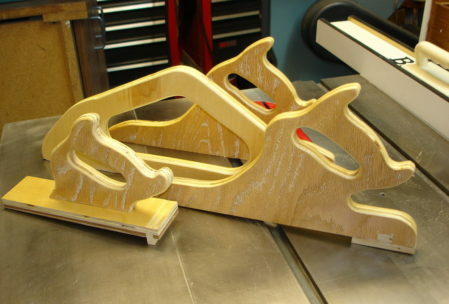 Your beginner woodworking projects may evolve into making large items. Don’t limit your work by having too little space to work on. What are your needs and priorities? 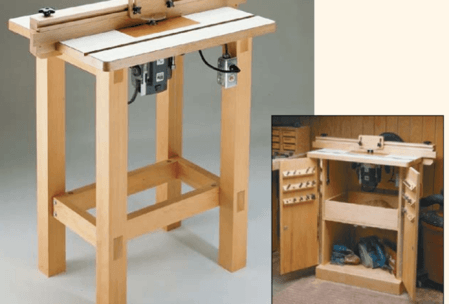 Customize the plan below to suit them so your router table is as practical as possible. The router itself. If you still need to buy one, there’s no right or wrong. 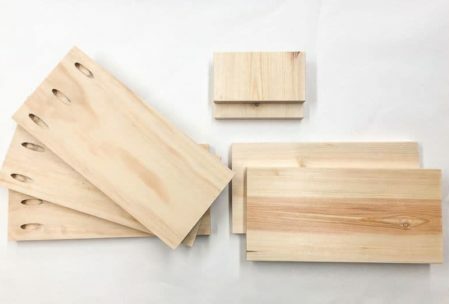 Simply try to match the size to the type of beginner woodworking projects your love, as well as the space you have available. Wood for the router top. Plywood or Pine is ideal. 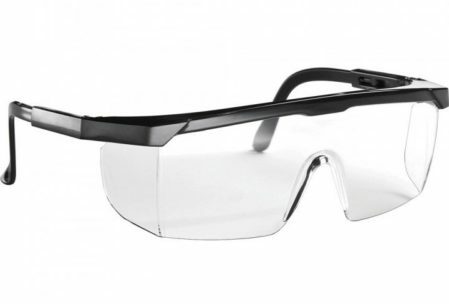 Plastic or Perspex for your face plate. A long piece of wood for your router fence. Ready to get started? This video shows many skills you’ll use while following this guide. 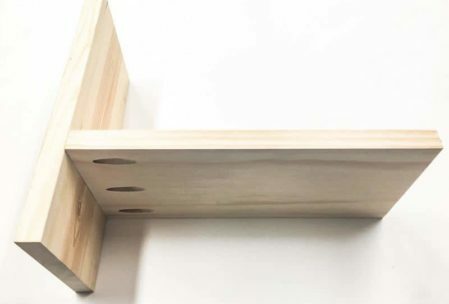 Your router top needs a sturdy framework to support it and the weight of your future woodworking projects. 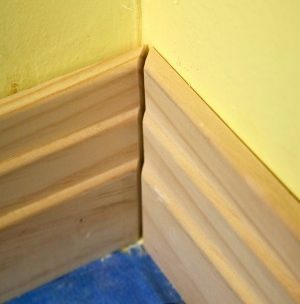 You also need to lift your top off the floor to create the space for the router that will be fixed to the bottom. 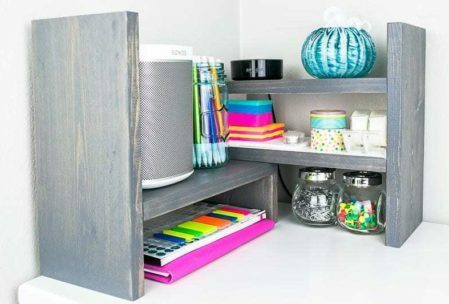 This unit can provide valuable storage space. 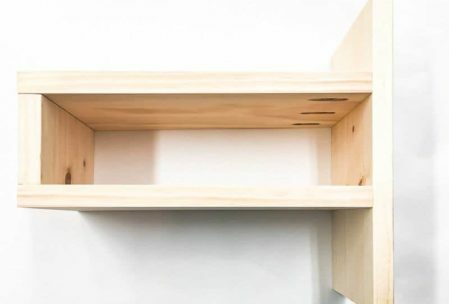 Add side panels, a bottom and a door to form a cabinet if you want. 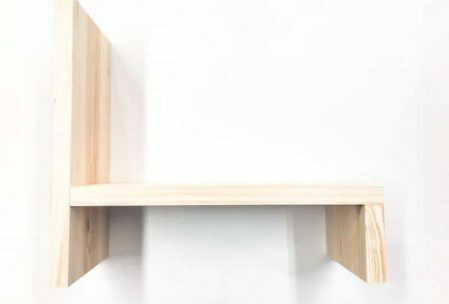 Don’t add shelves before measuring out the space the router will take up. Once your foundation is ready, it’s time for your top. Your top will be made of a large piece of wood. 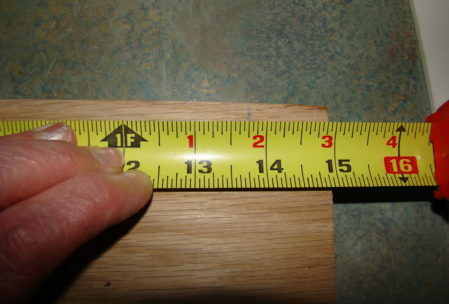 Depending on your router’s size, practical dimensions are 3’x4’. Your Perspex face plate will rest on this rabbet. Perspex allows you to view your router, giving you more control. If anything malfunctions you’ll notice it and you can make adjustments easier when you have your eye on the lever. This is much better than getting on all fours to make proper adjustments from underneath your router table. As you progress from beginner woodworking projects to more advanced ones, time becomes an important factor. These small details in your workshop layout help you complete jobs faster. 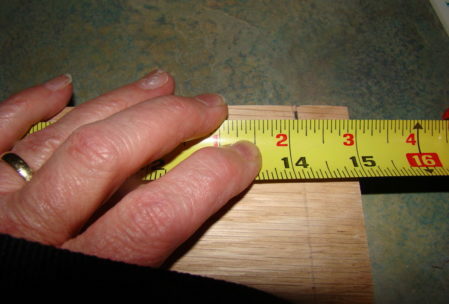 Measure the size of your large square (that you drew on the wood) on Perspex and cut it to size. Take off your handheld router’s base plate. 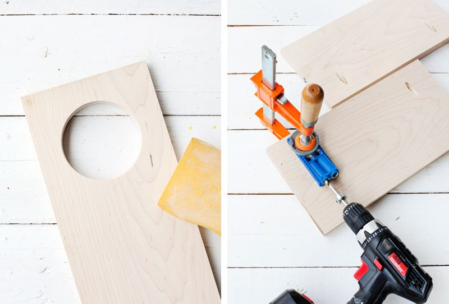 Can you see how stylish your router table will be? This part is easy. 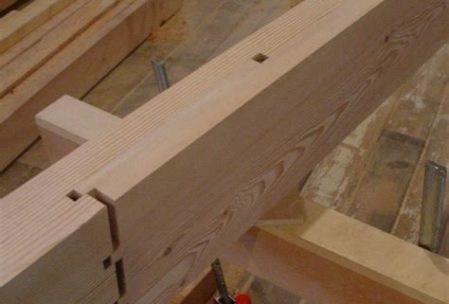 A fence is simply a long piece of wood you use as guide when pushing projects across your router table. In general a 32” long plywood piece is sufficient. 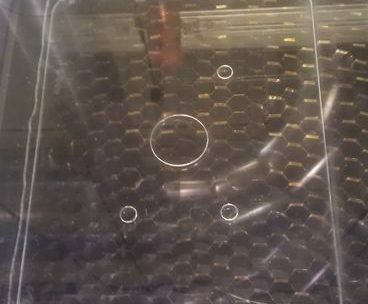 Cut a half circle hole where the fence will meet the router head. 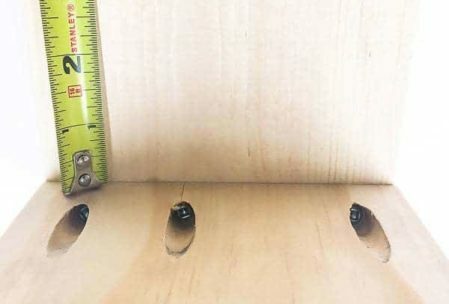 Screw a narrow piece of wood over this half circle for safety. Now nothing can accidentally fall onto the router bit or down the hole. 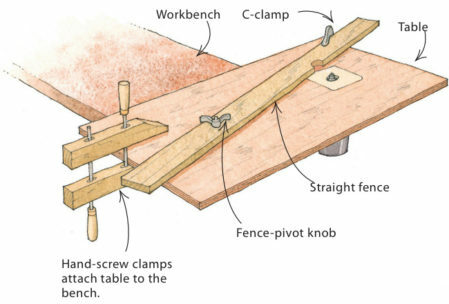 Both of these clamp the fence to the table. You can easily loosen the knob and adjust the position according to your project’s requirements. It’s wise to make more than one fence. Narrow fences are ideal when working with small parts. If you need more support working with large pieces of wood, a higher fence ensures the wood doesn’t accidentally flip over. Easy assembly also means it’s easy to take apart. If you need to store your router or the table, you simply unscrew the parts. Take it out again when you need the table for other projects. Your final touches are about aesthetics and practicality. 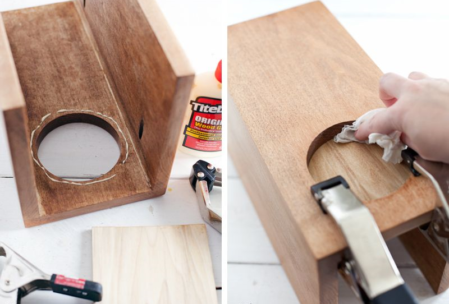 Prevent getting hurt by sanding away any rough edges or splinters. That’s all it takes! 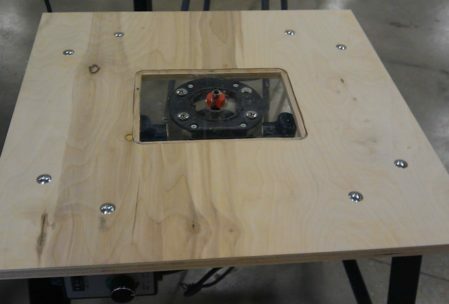 You just created a new router table so you can attempt even more intricate woodworking projects in future. Ready for another one? It’s the perfect gift for almost any lady. A jewellery box. Now add the fact that it’s made by a loved one. The box itself is the valued item now. 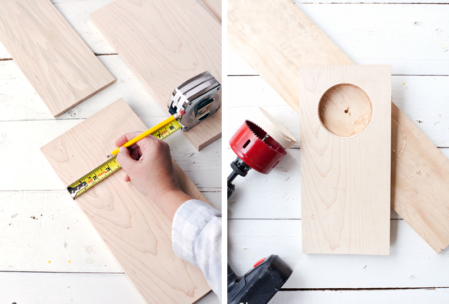 And you can do this for your loved ones with this free step by step plan for building wooden jewellery box. We promise, it’s not as difficult as you think. 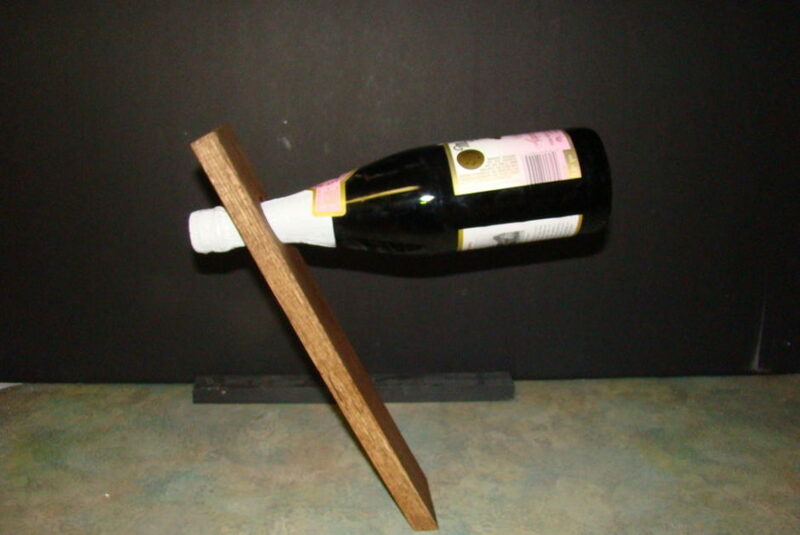 This is one of those exciting small woodworking projects you can easily customize to make it extra special for you or the one you gift it too. What are your preferences? 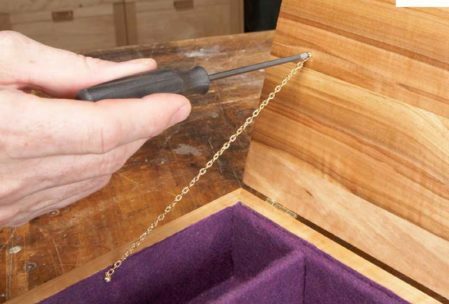 Because building wooden jewelry boxes are simple you can adjust the size to the requirements. 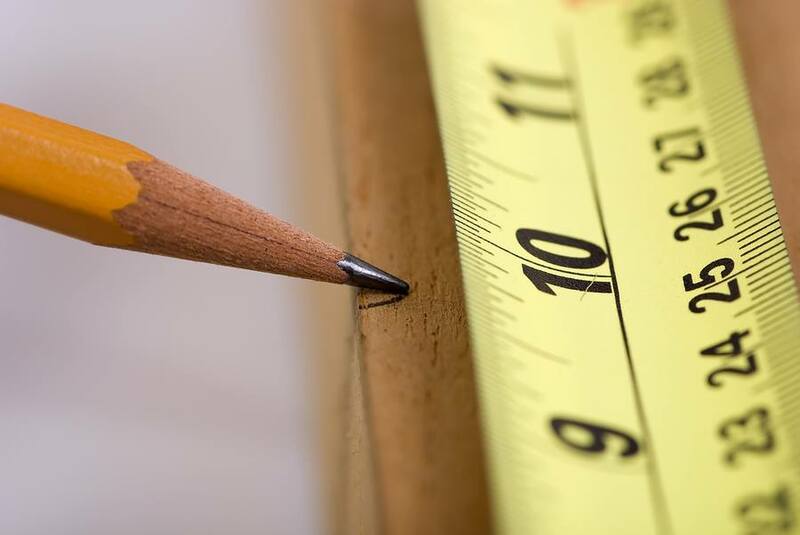 Below we use a set of measurements that are appropriate for most people’s uses. But customize them to suit the available space or number of jewellery pieces it must contain. 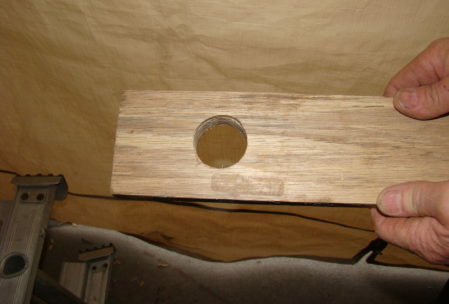 Never start small woodworking projects if you haven’t assembled all necessary tools and resources. 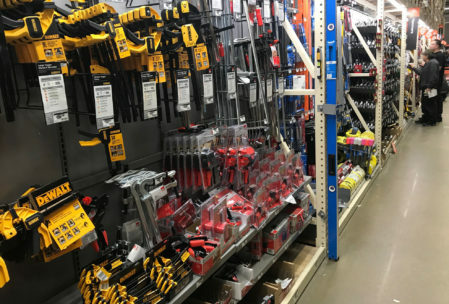 If you’re only starting out with this hobby, the article Top 7 Essential Woodworking Tools for Beginner Carpenters will help you prepare. Don’t be tempted to skip this step. Stopping in the middle of your project wastes time and looking for a tool takes away your focus. What if you forget an important step and your project is ruined? Proper planning prevents mistakes. The sides and lid should all be ½” thick. This is easy to work with and won’t make the box too heavy. Sanding and planing the wood to the correct thickness. Leaving wood for a few days to acclimate and distort. You don’t want this to happen after the box is assembled. 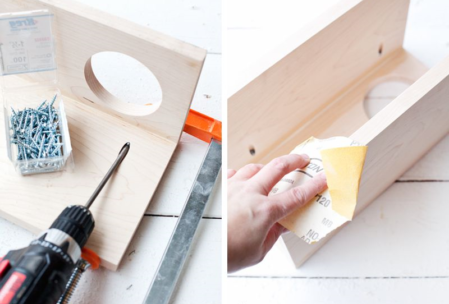 Cut miters with a blade or saw. Read here if you’re unsure how to get this exactly right. 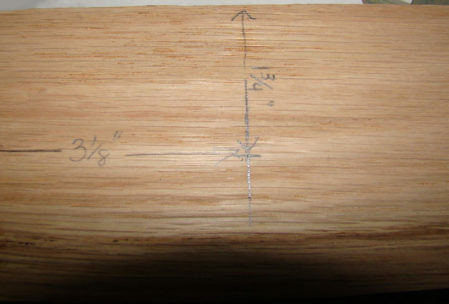 All the sides require grooves on the inside where the plywood bottom can slide into. 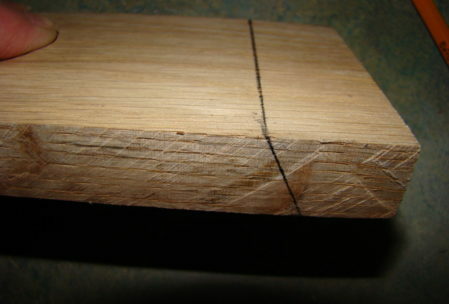 The grooves’ positioning depends on how shallow the box must be. Now it’s time to see your creation come together! Now your construction must stay in place until the glue is dry. Push the panels together by tightly binding rope around the square. Plastic tubing is also an option. Wait until it’s dry and sand it down to remove rough edges and leftover glue. Even with this simple jewellery box you have options to customize it and give it character. How do you want the box to close? Keep the lid separate from the base so you can put it aside while you rummage through its contents. You want your jewellery box to look as stylish as the jewels inside, right? That’s why the finishing touches are important. 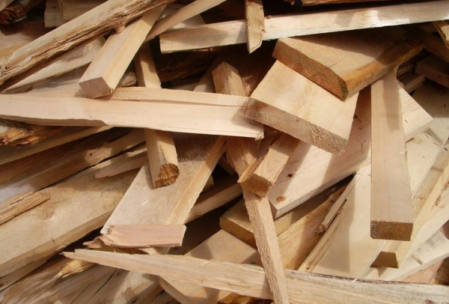 Wood has timeless aesthetic value. That’s why a wooden jewellery box is always a stylish gift. You can decorate it, but a simple wood finish is usually the best answer. 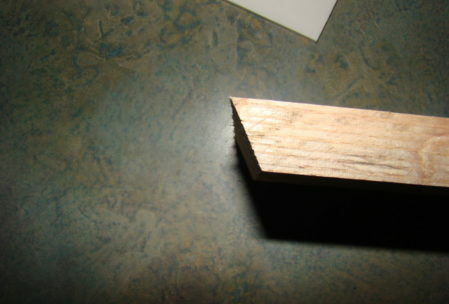 Test the finish on a leftover piece of wood to ensure it’s the shade you want. One layer is enough. 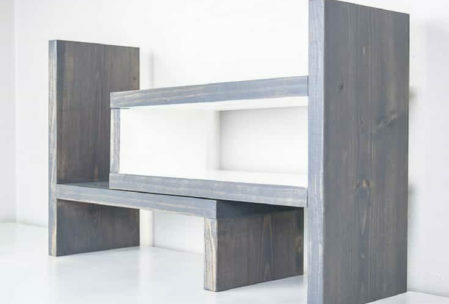 The more coats you add the darker the wood will become. Add thin coats with a brush so they can dry easily. Tip: If this box is meant as a present you need to plan ahead. Any stain or finish will give off some residue at first. Allow for enough time that the box can stand and dry completely before gifting it. You don’t want your friend’s hands stained, right? 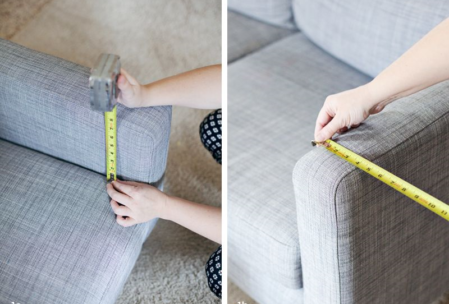 A felt interior is beautiful and practical because the pieces won’t easily roll around or get damaged. Place glue on the bottom first. 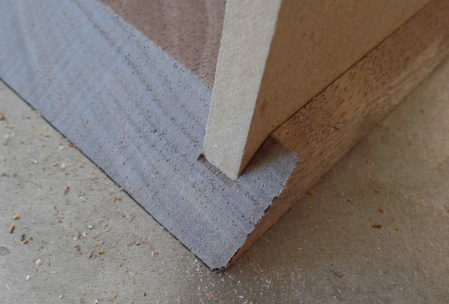 Spread glue—very thinly—directly on the wood. Cut a piece of felt big enough to cover bottom and sides. 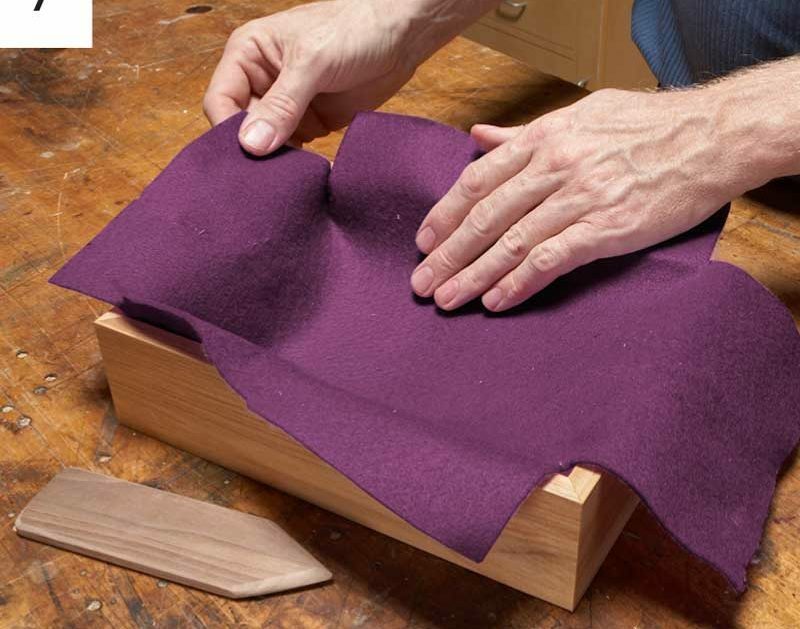 Add notches so the felt will easily bend upwards. Place felt on the glue and press down hard. Smooth out all creases. Now spread glue on sides. Add another feature for even more diversity: Dividers. 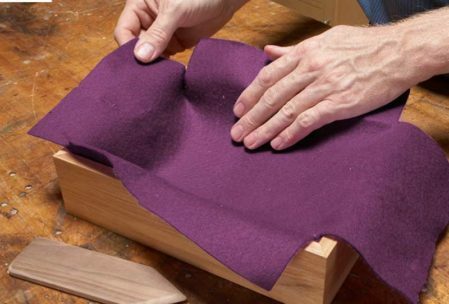 Cut dividers to size out of plywood and cover them with felt. 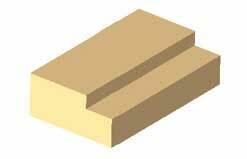 They can be the length or width of the box. Now they can slide into place and even be moved depending on the owner’s requirements. Show the owner of the jewellery box that you thought of everything. Glue small felt squares to the bottom. This prevents slipping and scratching of smooth surfaces. Voila! You’ve done it. Following a step by step guide shows you what you’re capable of. 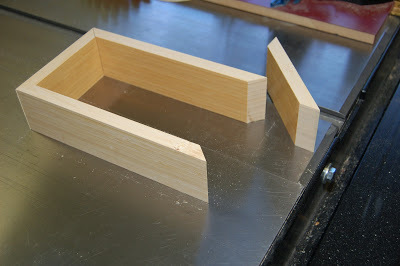 Building wooden jewellery boxes is only the beginning. 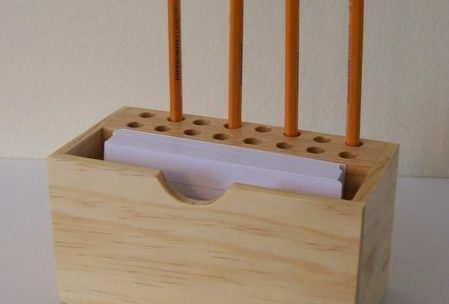 What other small woodworking projects will you attempt next?